Changing the look of your WordPress website using CSS code is hard! I mean, even if you have a solid foundation in CSS coding, the time and effort it takes to change each individual line of code existing on your website can be time consuming and frustrating. That is, until CSS Hero. Introducing an intuitive WordPress plugin that lets you easily customize every aspect of your WordPress website without touching a line of code, CSS Hero has literally come to the rescue. But wait, there is more! Because you are a loyal fan of ours we are sharing with you a 25% off coupon so you don’t have to hassle with learning code any longer. Let’s take a look at what CSS Hero is all about. Using a click-and-point interface so you can change any element of your website’s theme, CSS Hero is touted as one of the most advanced WordPress theme editing tools on the market. With CSS Hero customizing your website is no longer a tedious chore that you hope will turn out looking okay in the end. With tons of great editing tools you can actually create something you are proud of, with minimal effort! 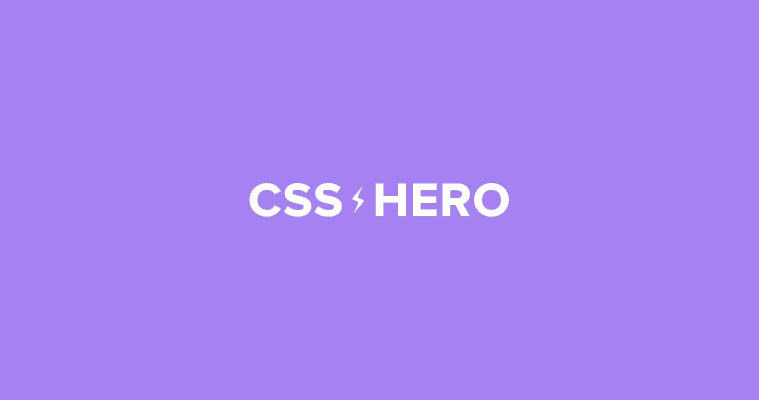 Built as a lightweight plugin to aid you in editing your website, CSS Hero only uses resources while being used so that your site’s functionality is never compromised. Its basic setup does not include cluttered menu options tying up your WordPress admin area keeping things neat and organized. Boasting the WYSIWYG feature, CSS Hero has a live preview of all of your changes making editing your theme even more convenient than coding every element manually, line-by-line. Changes you make are automatically saved in the editing history so if you need to reference a previous action all you have to do is click undo. Since being responsive is a must have these days, CSS Hero gives you the option to make device specific edits so your mobile users get the best experience ever when they visit your website. You can even preview your device views before pushing them live to make sure they look just right. Starter($29/year)– Best for one time users with one personal or client website to edit. Personal ($59/year) – This plan works on up to 5 sites and is great for small agencies, entrepreneurs, and advanced publishers. This plan comes with the Inspector Pro plugin and works well for those wishing to make regular changes to their website(s). Pro ($199/year) – Use this plan for up to 999 websites, and take advantage of the Inspector Pro plugin that comes included. Best for large web development agencies, professional publishers, or those wishing to have more design control over a wide range of WordPress websites using one editing tool. All plans come with one year of upgrades and support, CSS Hero’s easy export feature (to change sites if need be), and access to their exclusive affiliate program so you can share your love for CSS Hero and make some money while doing so. At the end of the year, when your plan expires, rest assured CSS Hero will continue to work. However, you will no longer be able to install CSS Hero on any new websites after the expiration of your yearly purchase. In addition, CSS Hero is so convinced you will love their editing tool so much they offer a 30 day money back guarantee. The truth is, a lot of WordPress users don’t know a lick of code but wish to customize their websites like pros. With CSS Hero this is possible. You will no longer have to spend countless hours learning coding languages, or spend thousands of dollars on a professional web developer to design the site of your dreams. Using this simple yet intuitive editing tool, the power and control is in your hands. And if you are a developer and do know a thing or two about coding, then you know better than anyone that it just takes a lot of time. Try using CSS Hero to replace your line-by-line coding process and see what it can do for you. It is guaranteed to cut down on your time significantly when designing websites of all complexities. Click the link, punch in the code herokube and start making your website look like a million bucks using CSS Hero.